People have many different financial goals, but one they share in common is to achieve financial independence. I define that as the time when we conclude that our annual expenses can be covered for the rest of our lives without working any longer. Accurately calculating your expenses for a 25 to 40 year period is a difficult task. Another daunting task is accurately evaluating your sources of retirement income. How much will it cost my spouse and I to live? How long will my spouse and I live? Will I need to support anyone else like parents, children, and grandchildren? How Much Will It Cost To Live? The best way to design a retirement budget is to have two types of retirement budgets. The first is an actual expense budget with all needed expenses. The second includes a dream list of items you would buy if the money were money. Retirement expenses are approximately 75% of normal non-retired living expenses. Usually, there is no mortgage on your home. Numerous senior discounts are also available. However, most financial advisors know that this estimate is not always realistic. There are three basic stages of retirement. The first is the active phase when most people travel and do all the things they worked most of their lives to be able to do; this is usually the most expensive phase. The second phase is usually less expensive; this is the time when retirees are usually still active but not as much as in the first phase. The third phase is more expensive, with increasing health care costs. Longevity can be predicted to some degree by looking at your family's health history; then comparing your lifestyle with other family members to determined if you are in better or worse shape. Also, whether we experience a quick death or a long and lingering illness before death will affect our financial needs. Currently the age assumption is 100, with some believing that this is a conservative estimate. To address the possibility of excessive medical needs or long-term care facility requirements, we strongly recommend that people buy long-term care insurance. You must also consider inflationary factors. No matter what your monthly budget may be when you begin your retirement, the current inflationary rate of 4-5 % needs to be factored into the equation. Most retirees can cover their own expenses fairly easily with careful planning. However, one expense that most people do not anticipate is caring for others. This could be parents, children and/or grandchildren. In the case of children, it is my experience that these expenses can be unlimited, if boundaries are not established. First there is college, then graduate school, then marriage, then their first home. Then come the grandchildren. One of the most difficult tasks that financial planners have is convincing their clients that they must tell their children that they cannot afford to support them indefinitely. In summary, retirement expenses are difficult, but not impossible, to predict with some degree of accuracy. Using current costs, a historic rate of inflation and a life expectancy of 100 years, we can come up with a reasonably accurate estimate of living expenses, which will enable us to plan accordingly. Cindy Diccianni is a Registered Nurse, a Certified Senior Advisor (CSA), a Registered Investment Advisor and a Registered Representative with Leigh Baldwin & Company member NASD and SIPC. 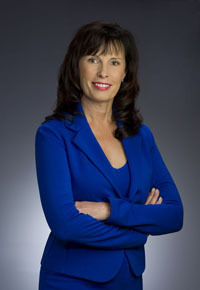 She is affiliated with Ortner, O'Brien & Ortner Advisory Group, Inc. and co-founder of Nurturing Your Success, Inc. Her passion is assisting clients in creating financial freedom. You may visit Cindy at www.nurturingyoursuccess.com, write to her at Cindy@nurturingyoursuccess.com or call her directly at (610) 251-9393.